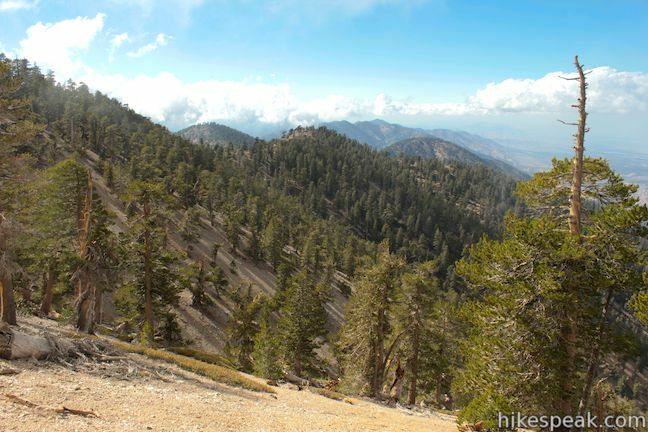 Mount Baden-Powell is a special summit in the San Gabriel Mountains. 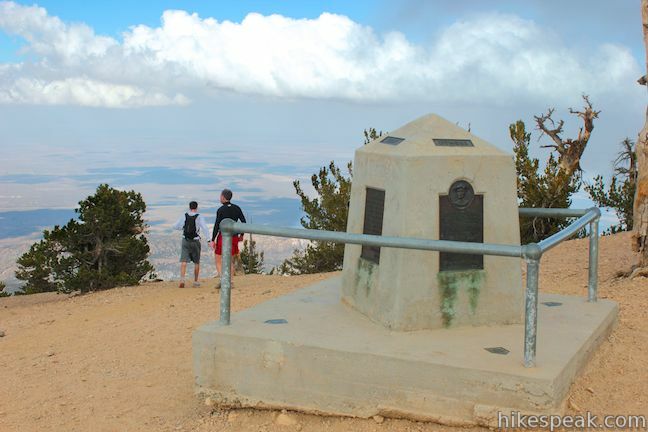 It is one of the range’s tallest peaks at 9,399 feet and holds particular importance to the Boy Scouts of America because it memorializes the lofty accomplishments of Lord Baden-Powell who founded the Scout Movement. 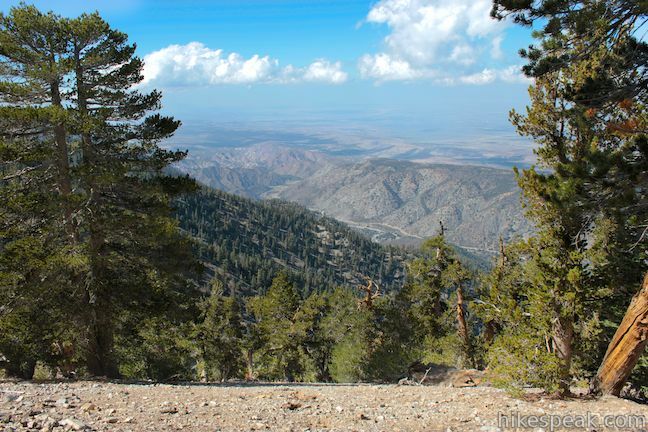 The views are lofty too, lording over an expanse of rugged mountains framed the San Gabriel Valley to the south and the Mojave Desert to the north. 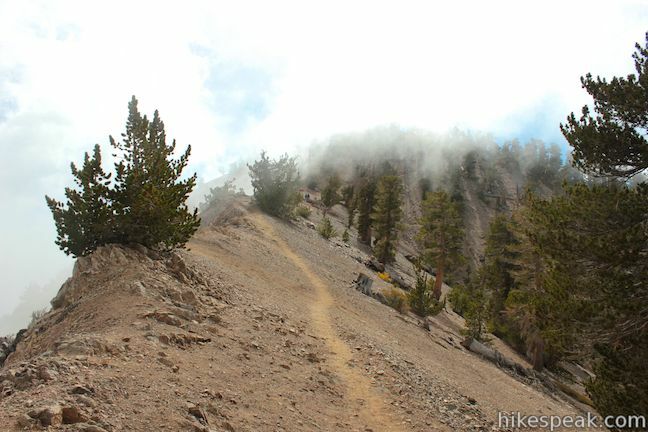 The hike to the top is a thigh-burning 8.25 miles round trip with lots of switchbacks and 2,834 feet of elevation gain. 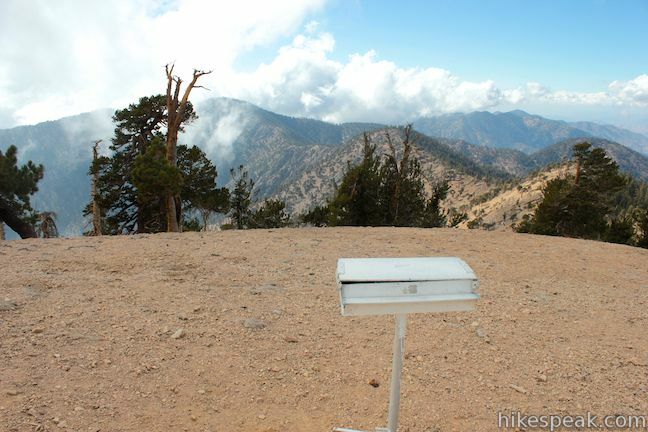 The effort is rewarded by substantial views including a summit 360. 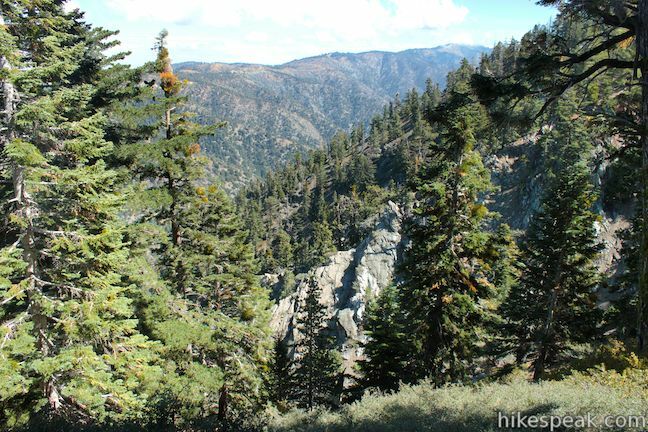 The hike begins 6,565 feet above sea level at Vincent Gulch Divide, located near the northeast end of the San Gabriel Mountains. 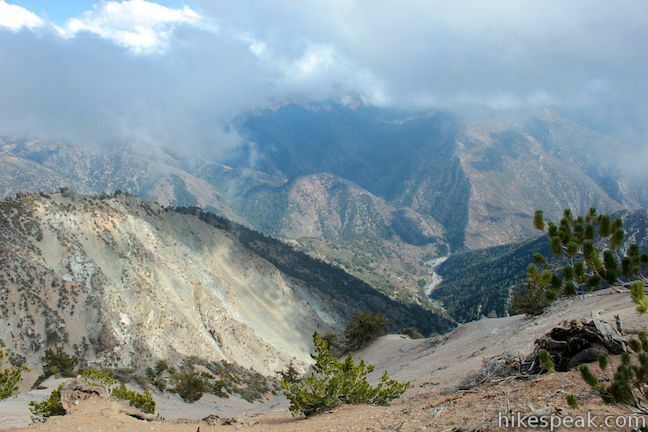 Vincent Gulch Divide (Or Vincent Gap) is a divide below Mount Baden-Powell that separates the drainage of Big Rock Creek to the north from the drainage of the upper forks of the San Gabriel River to the south. 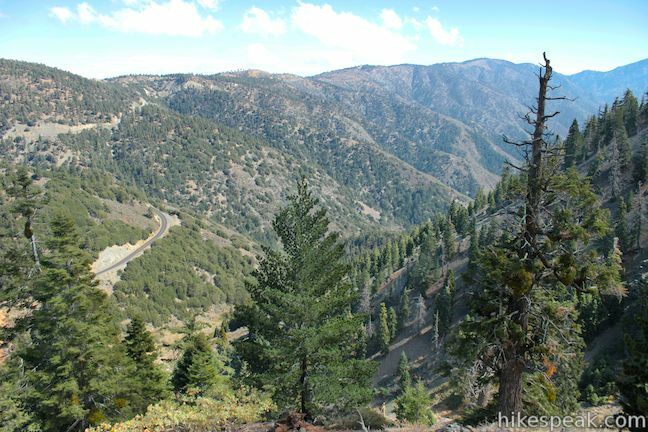 You will find a large turnout along Angeles Crest Highway at Vincent Gulch Divide where the trail sets out southwest up Mount Baden-Powell. 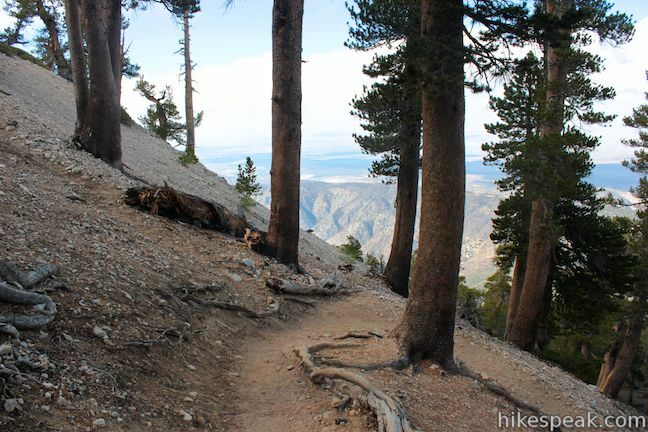 The trail up Mount Baden-Powell is a well-maintained section of the Pacific Crest Trail and the Silver Moccasin Trail (Silver Moccasin Trail is a 53-mile route used by boy scouts and other backpackers to cross the San Gabriel Mountains between Chantry Flat and Vincent Gap, topping out on Mount Baden-Powell). 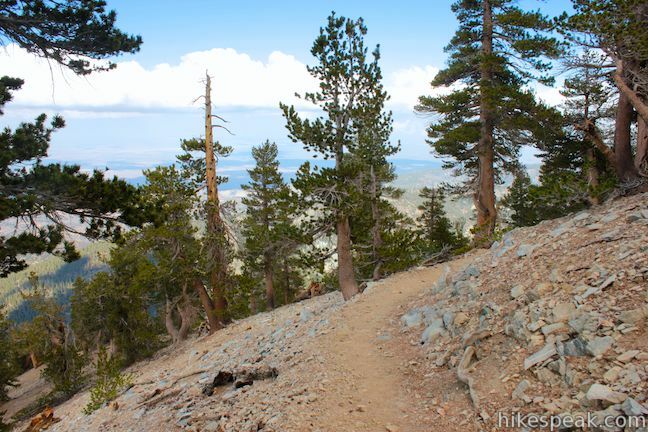 Make your way up the dirt single track, climbing through Jeffrey pines and firs that exude pleasant mountain aromas. 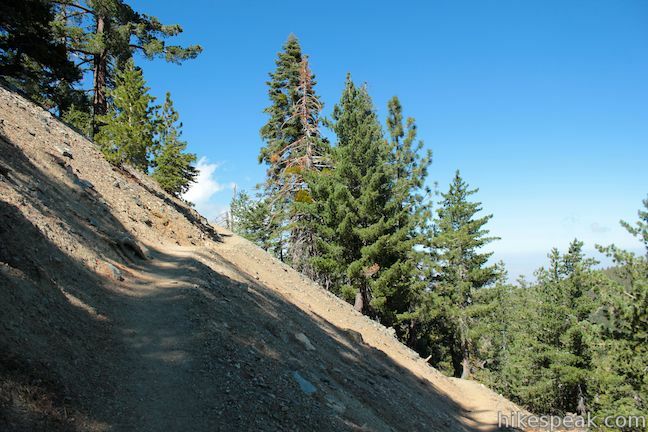 The trail maintains a steady grade, never getting too steep as it chips away about 700 feet per mile. 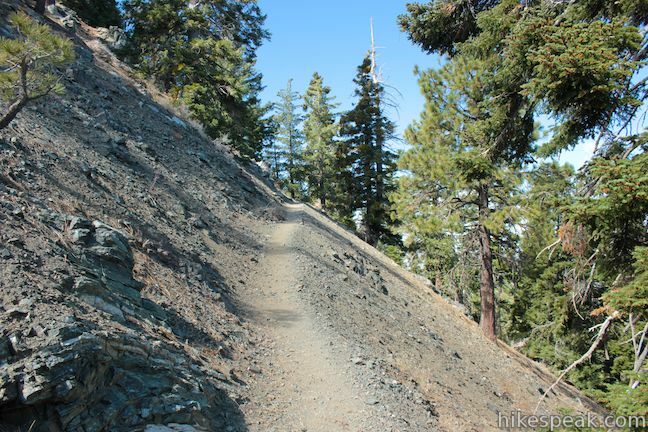 If you like switchbacks, you are in luck, because there are about 30 along the way. 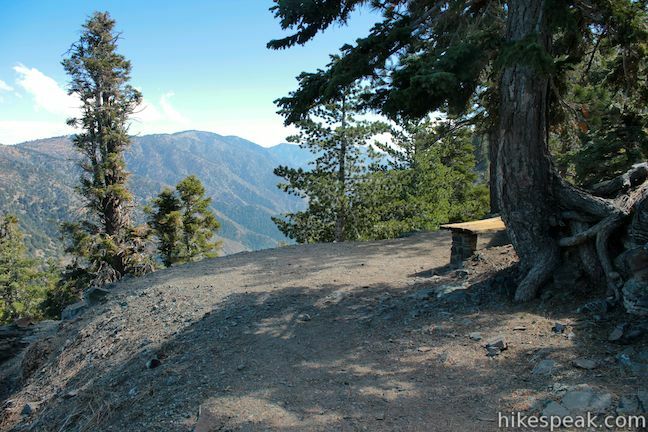 At the top of the sixth switchback, and 0.95 miles from the start, you will arrive at a bench that presents an early opportunity to pause and enjoy the view. The bench looks east over Mine Gulch below Vincent Gulch Divide. 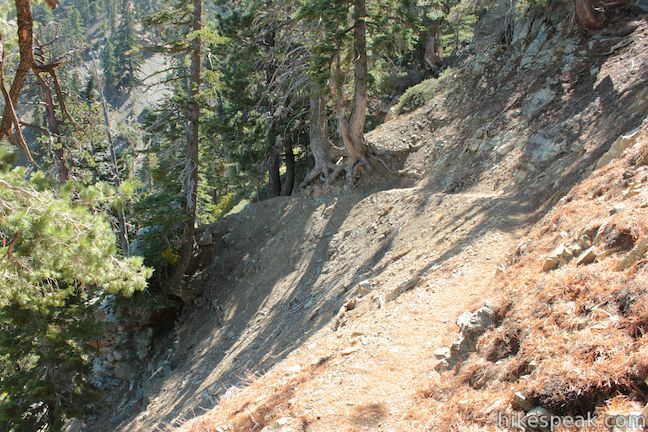 Above the bench, the trail continues to climb with switchbacks alternating between the northern slope of the mountain and a ravine on the eastern face. 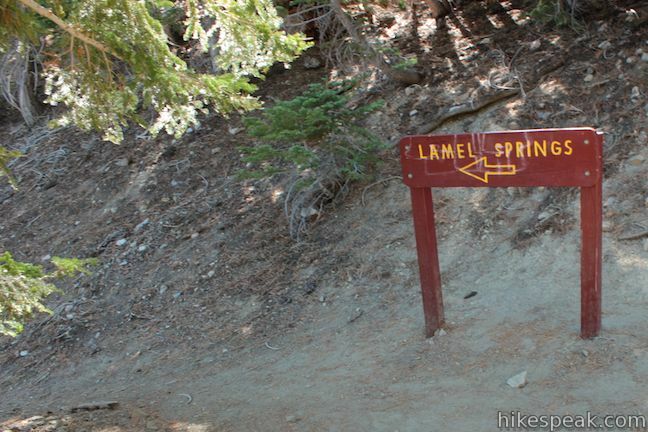 At 1.8 miles from the start you will arrive at a junction with a spur to Lamel Springs, marked by a large sign. A narrow track heads to the left, extending to a water source in the ravine. 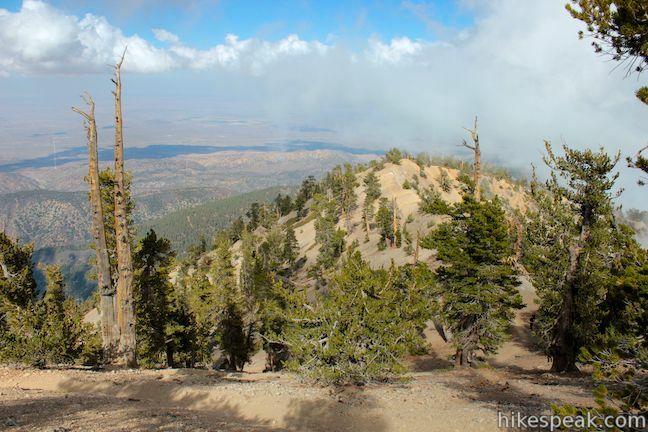 Assuming you packed enough water for the trek, simply continue up the main trail to the summit of Mount Baden-Powell. 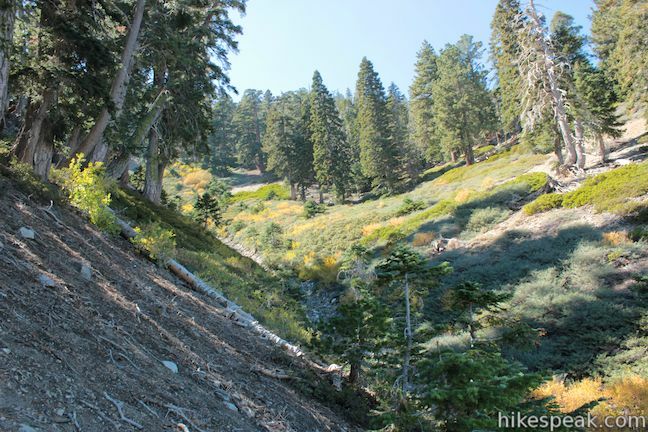 About half a mile above the spring, the trail passes a landing on the side of the mountain that could make a nice backcountry campsite. 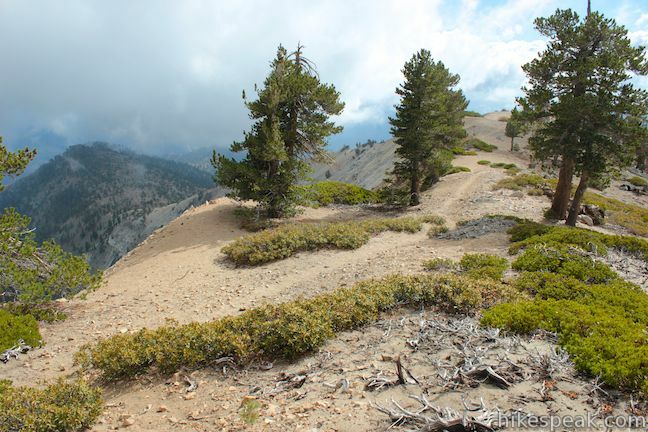 The switchbacks continue, weaving farther around the north side of the mountain. 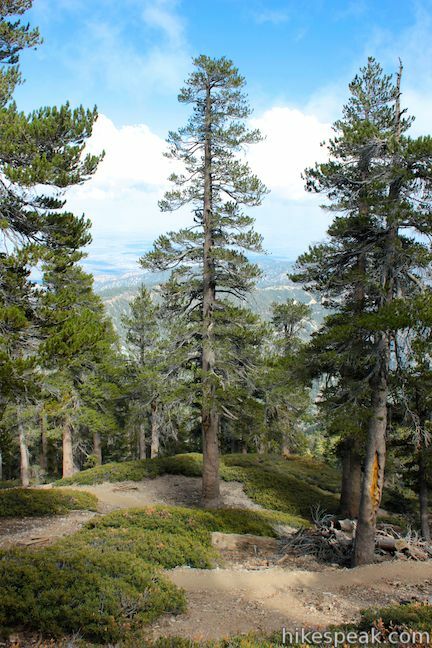 As you climb above 8,000 feet, the lodgepole pines thin and the views expand, allowing you to gaze down the north side of the range toward the Mojave Desert. 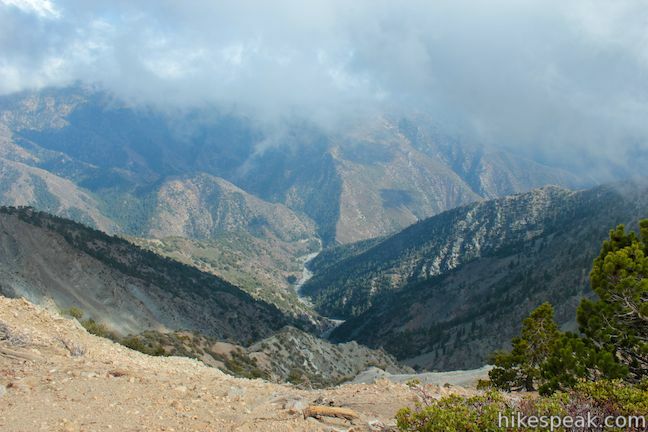 The switchbacks shorten as you climb a false summit east of the actual peak, taking you to new views northwest over canyons carved by Big Rock Creek. 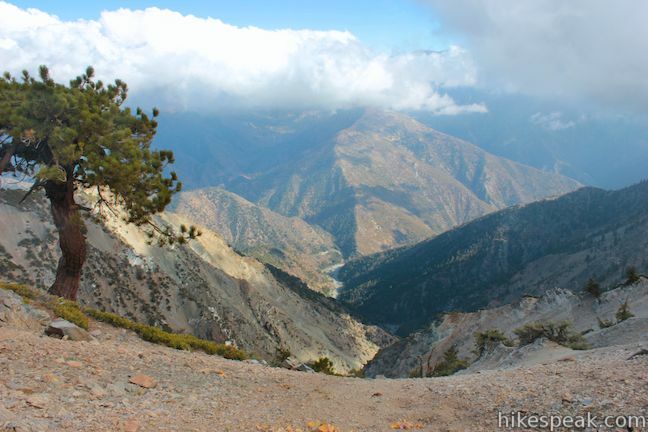 Catch your breath as the trail crosses a narrow ridge just below the actual summit (that is like a short taste of the Devil’s Backbone Trail east of Mount Baldy). 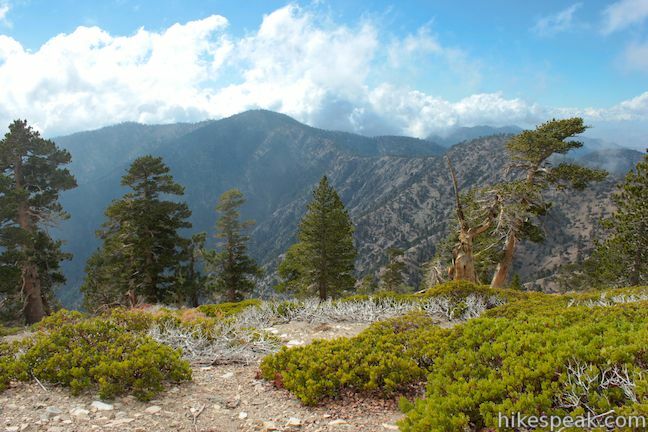 Along the ridge, you will reach the Mount Baden-Powell Pacific Crest Trail Junction, 4 miles and 2,625 feet from the start. 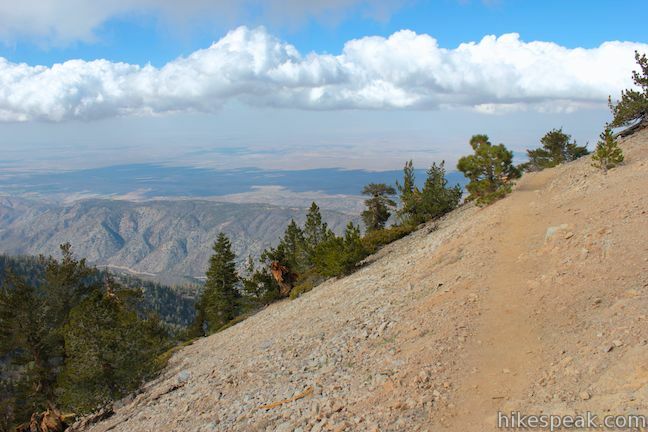 To the right, the PCT heads downhill to Windy Gap (5.2 miles) and Islip Saddle (7.2 miles). 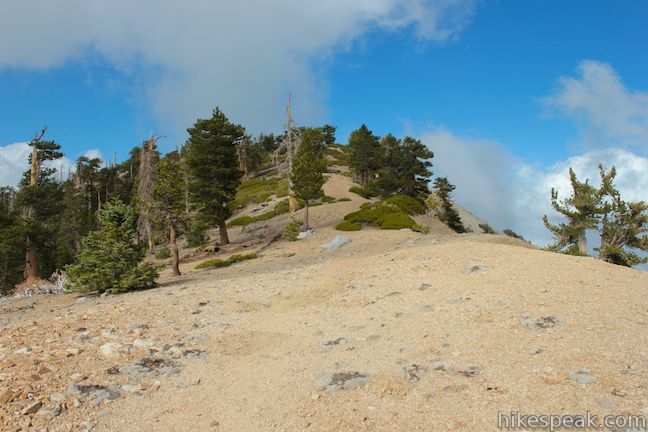 To reach the summit of Mount Baden-Powell, turn left and continue up the ridge to the peak. 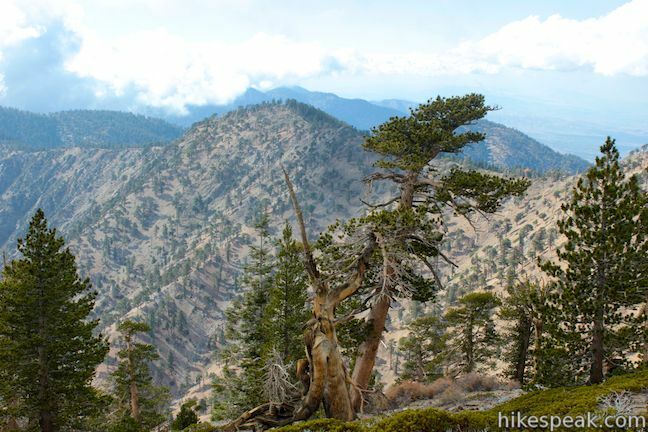 Just past the Mount Baden-Powell Pacific Crest Trail junction you will pass the Wally Waldon Tree, a limber pine clinging to the spine of the ridge that is estimated to be 1,500 years old. 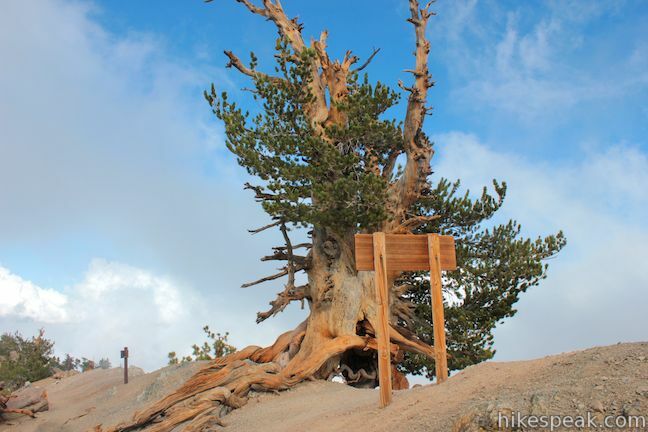 The tree honors the scout leader most responsible for the creation of the monument for Lord Baden-Powell on the summit, which you will reach after just a couple more switchbacks. 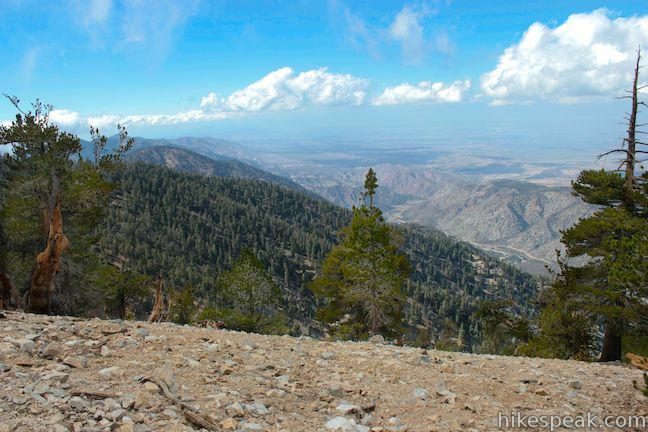 From the junction, it is only 1/8 of a mile to the summit of Mount Baden-Powell. 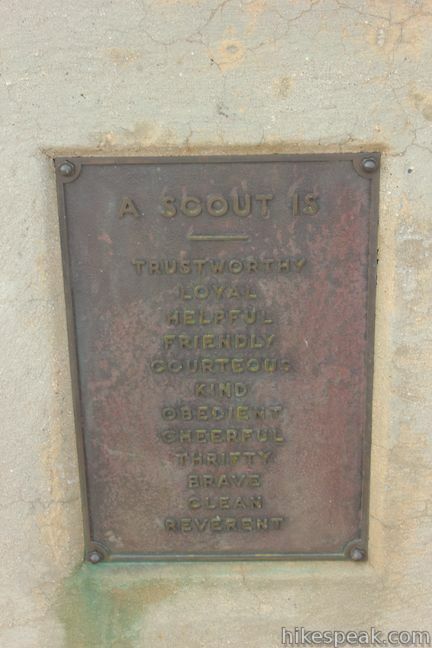 The impressive mmemorial has four sides labeled with compass arrows and the guiding principles of scouting, duty to God, country, others, and self. 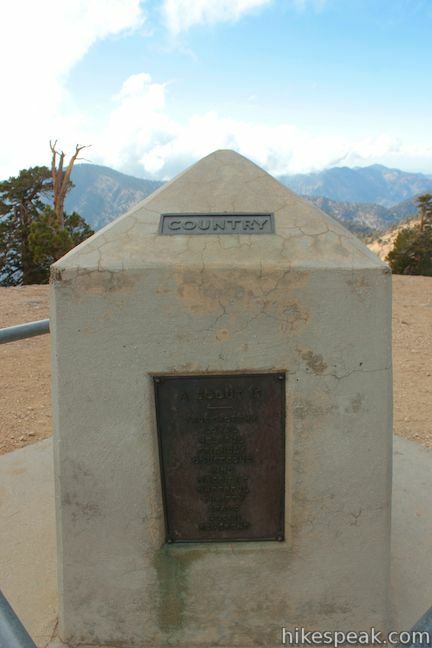 Each side of the monument bares a plaque of significance to Baden-Powell and the Boy Scouts of America. 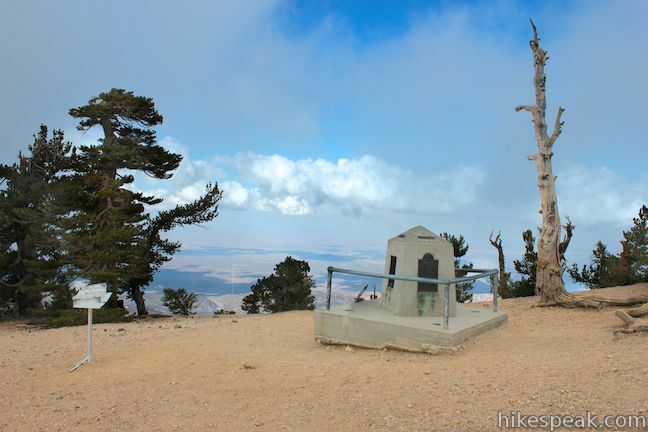 There is a summit register next to the monument, where you are invited to write a message, having completed the climb to the 8,399-foot summit! The views from the mountaintop are epic. To the north lies the expansive Mojave Desert. 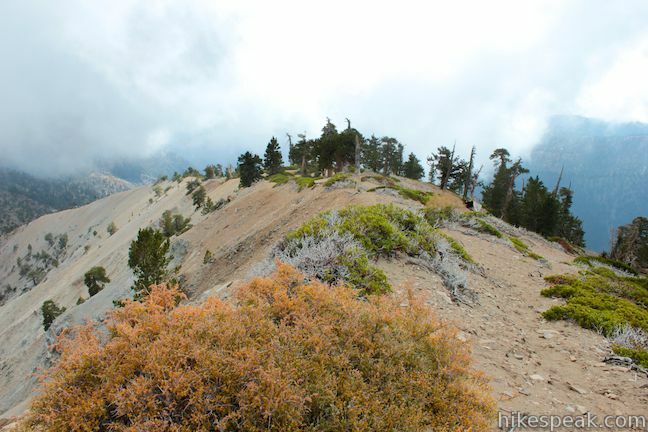 To the west, Hawkins Ridge extends toward Throop Peak. 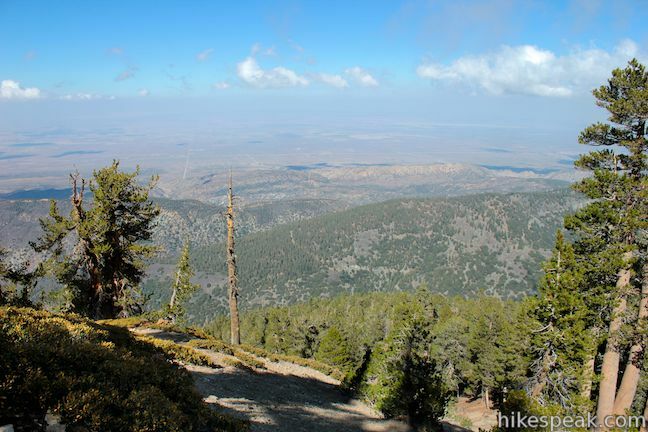 To the south, when not consumed by clouds, you will spot Iron Mountain. 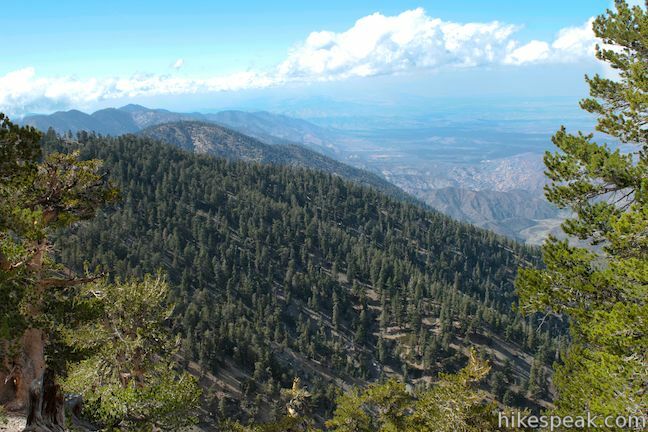 The dominating form of Mount Baldy, the tallest mountain in the San Gabriels, rises to the southeast and just north of that round bald summit you’ll see Pine Mountain and Dawson Peak. 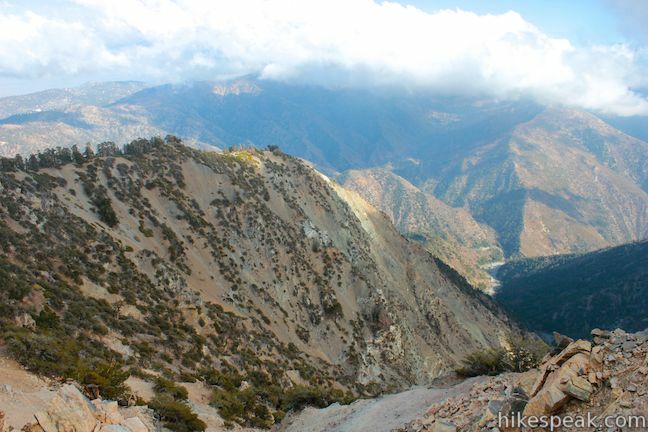 If you aren’t afraid of heights, look southeast over the deep trench called Mine Gulch and the canyons carved by the upper forks of the San Gabriel River. The views in every direction are mesmerizing. 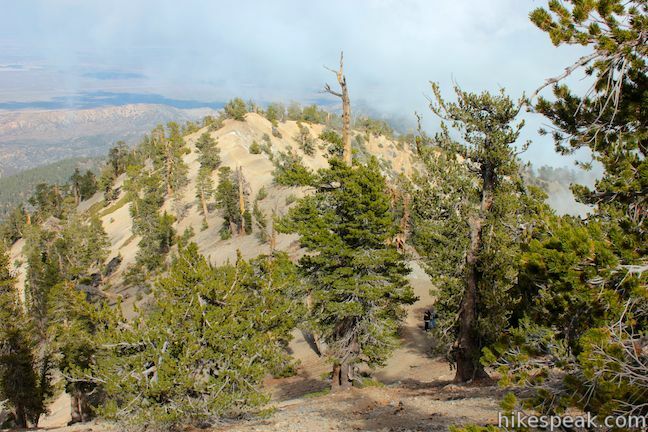 The summit is roughly pyramid-shaped with three ridges extending east, west, and south. 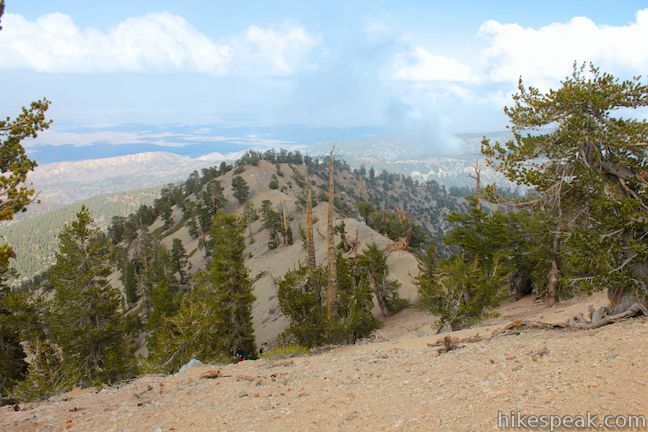 If there are crowds on Mount Baden-Powell, the south ridge is a great place to get away and enjoy a private view. 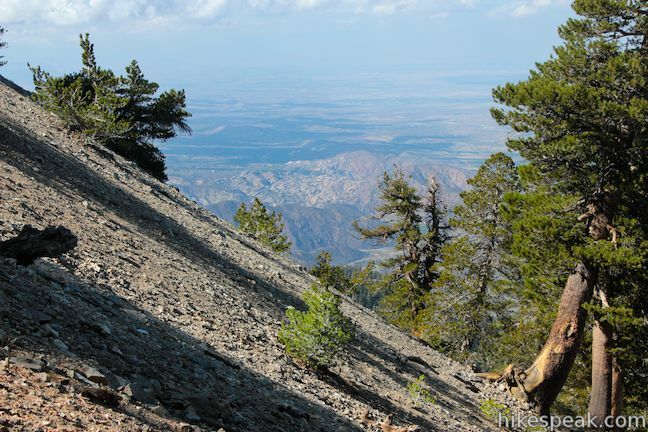 You can hike a quarter mile down this ridge (dropping 125 feet) before the terrain becomes steep. 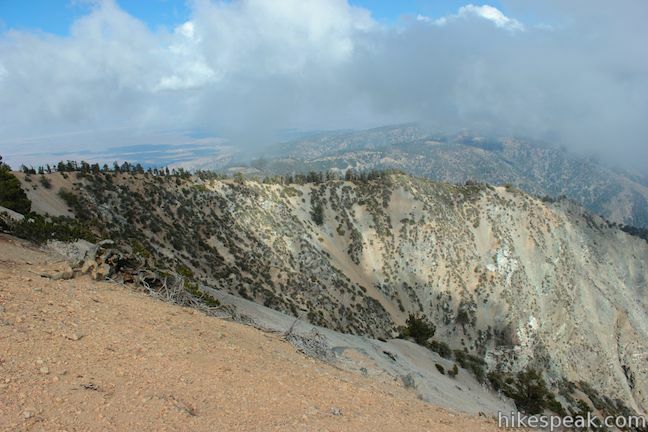 There are fantastic views southeast over the chasm of Mine Gulch toward Mount Baldy. 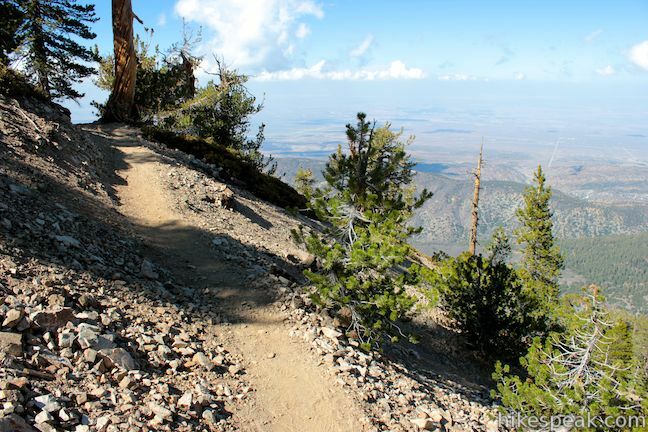 The path down the south ridge offers bonus exploration for those who want to spend a little extra time on the summit. 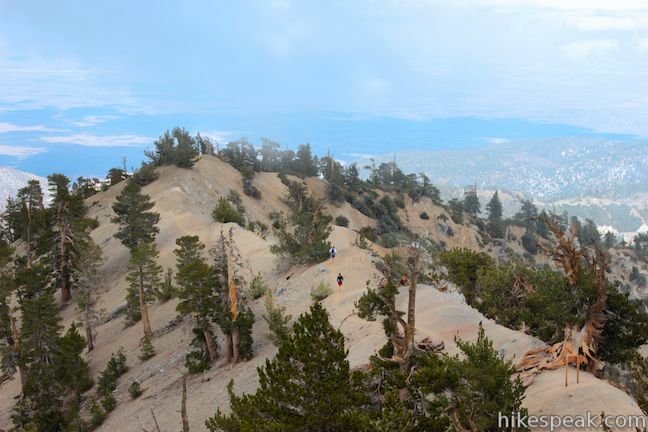 Linger as long as you like before hiking back the way you came (it’s all downhill), completing the 8.25-mile round trip hike between Vincent Gulch Divide and the summit of Mount Baden-Powell. 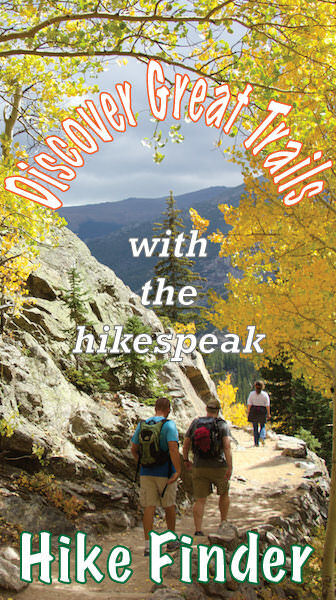 Do not hike up the mountain in a lightning storm or when the trail is icy or made dangerous by other questionable weather. 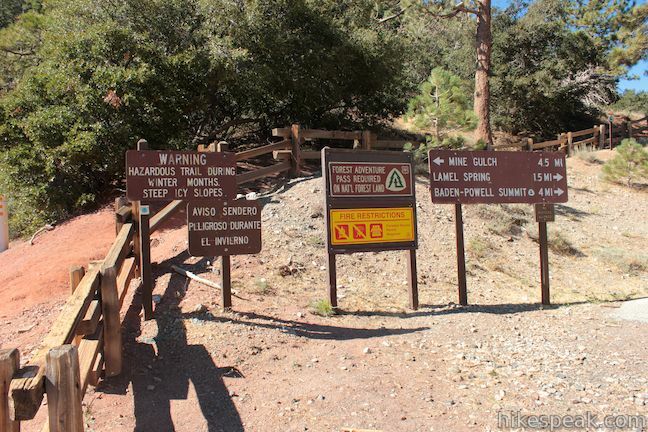 Dogs are allowed on the trail, but mountain bikes are prohibited. 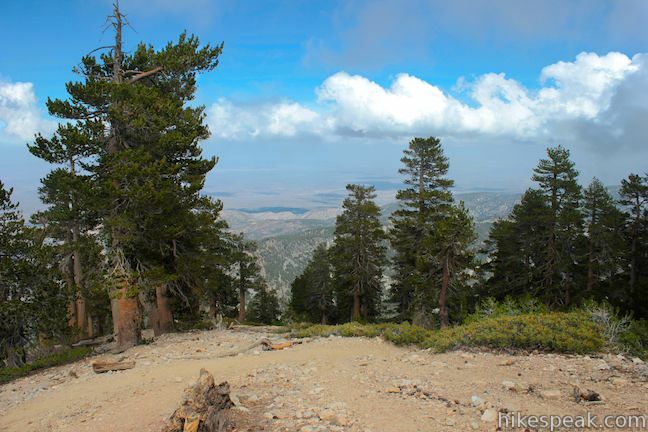 A National Forest Adventure Pass is required for vehicles parked at the trailhead, but no other permit is required to hike to the summit of Mount Baden-Powell, so get out and enjoy! 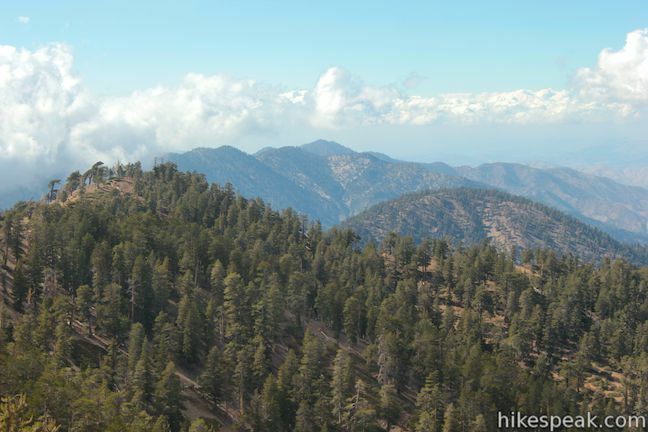 To get to the trailhead: From the 210 Freeway in La Cañada Flintridge, head northeast on Angeles Crest Highway (CA 2) for 50.3 miles to Vincent Gulch Divide where there is a large turnout on the south side of the road at the start of the trail. From the 15 Freeway, take exit 131 for Route 138 west. Drive 20 miles and turn left up Angeles Crest Highway (CA 2). 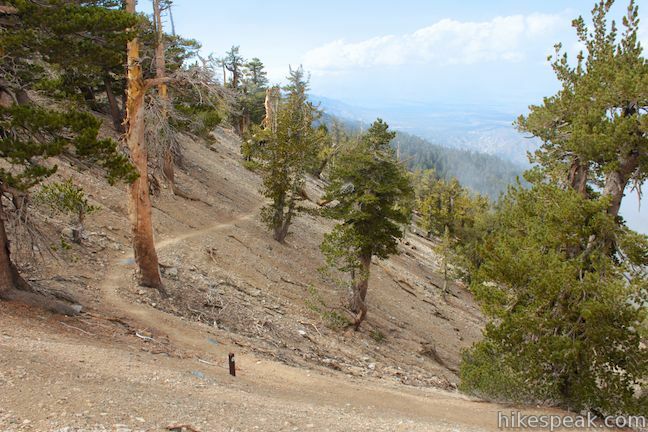 Go 14 miles and turn left into the trailhead parking area. It’s a great hike. I made it up before the snow hit. We had kind of a late winter this year. 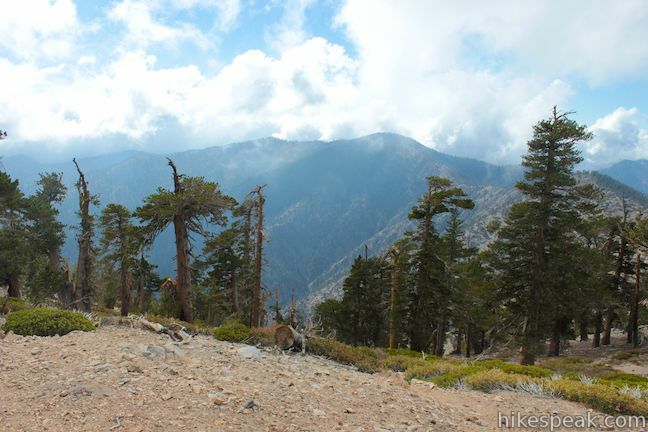 this is a great day hike, there is no campground at the top. the top is a great place to have lunch. on the way up, there are benches to stop and take a break. about 3 miles from where you park there is a campground called Little Jimmy that has running water and bathrooms. 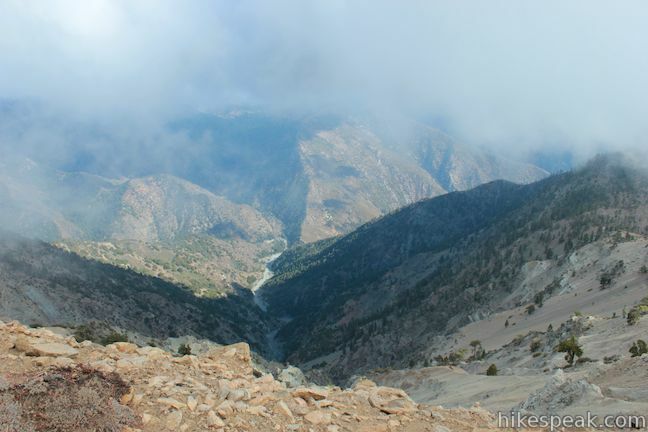 It is a great base camp or a good beginner backpacking trip. Is there a campsite nearby that can be used as a base? We would be coming from the south. 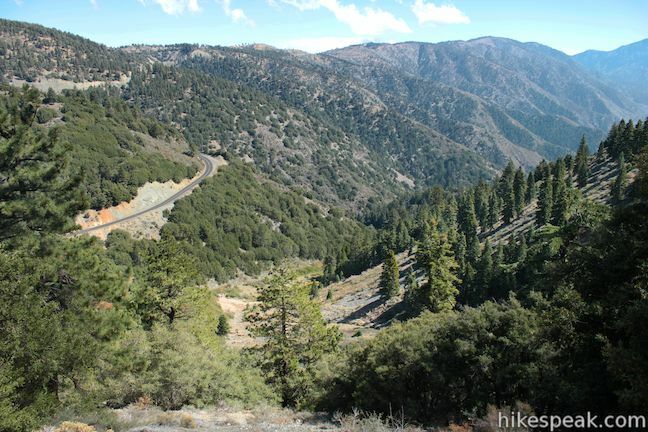 Angeles Crest Highway (CA 2) is usually closed in the winter, as it is not plowed, west of Grassy Hollow; therefore, you’d have to walk or ride bicycles to get to Vincent Gap trailhead. 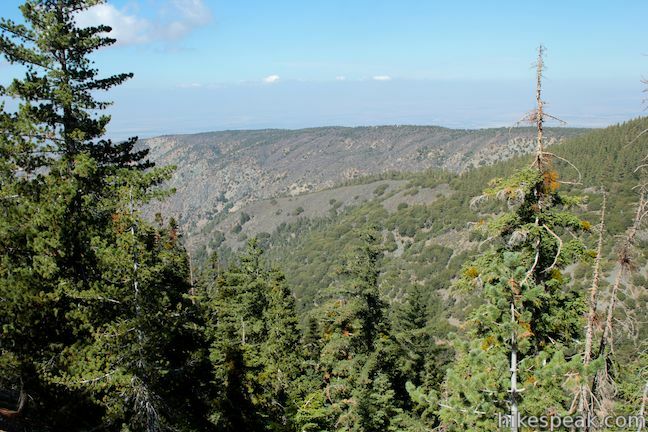 Jackson Flat Group Campground is located south-west of the town of Wrightwood, on the Blue Ridge near Grassy Hollow Visitor Center. 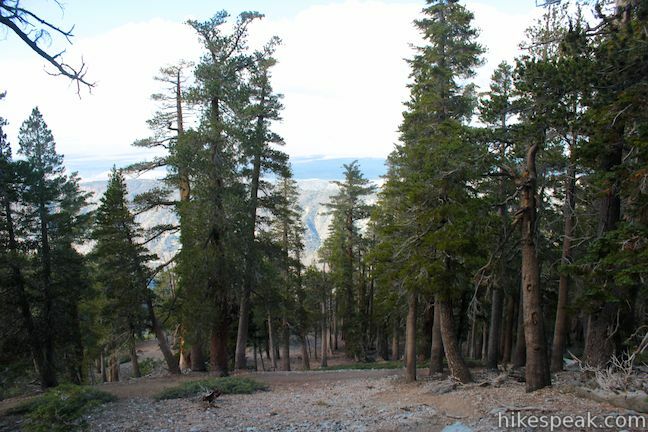 This is a group campground right along the Pacific Crest Trail (PCT), west of Inspiration Point. 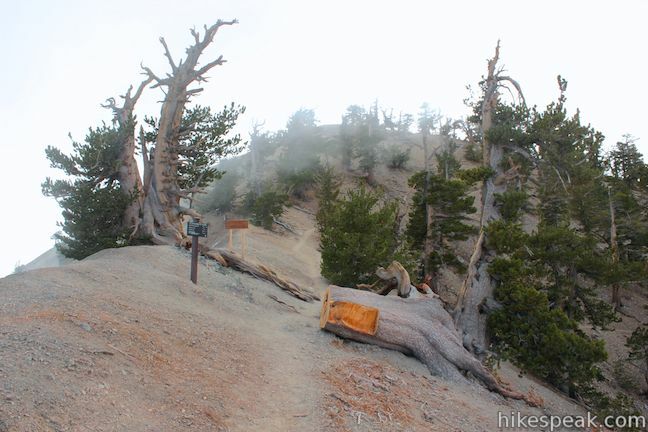 This is a walk-in only campground (There is no vehicle access to this campground). 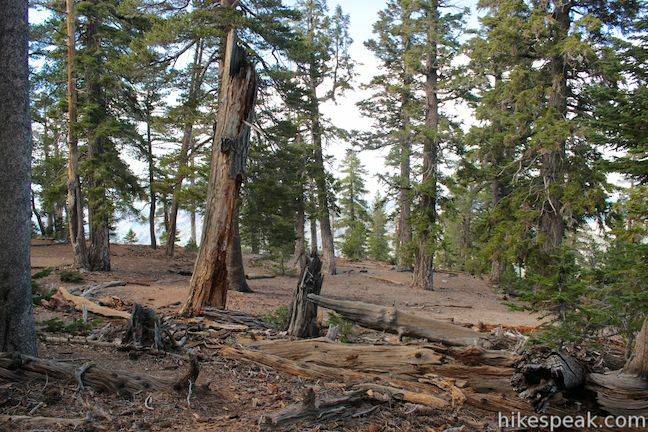 The Jackson Flat Group Campground has 5 large group sites, pit toilets, and running water. Inside the campground there are bear-proof food storage containers. 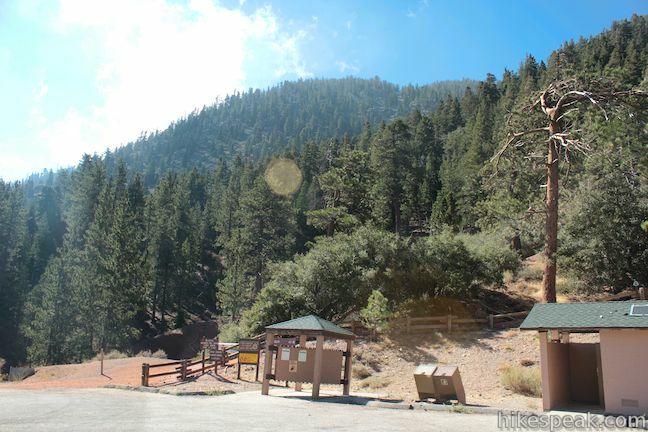 There are other campgrounds in the Wrightwood area just a few minutes drive from Vincent Gap. 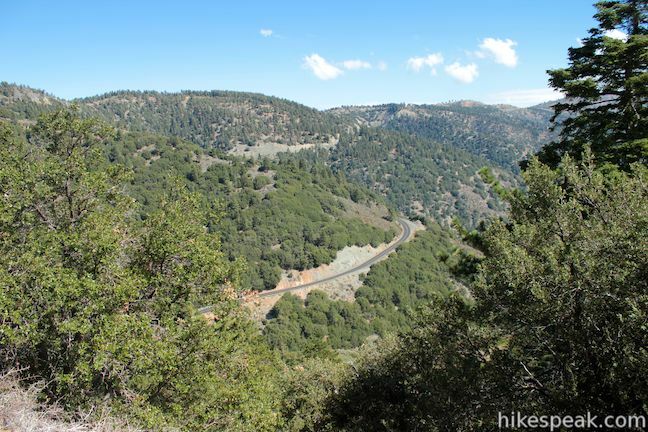 Having done this hike many times (particularly fun in the winter when the 2 is open) I’ve found that I prefer the Dawson Saddle Trail. 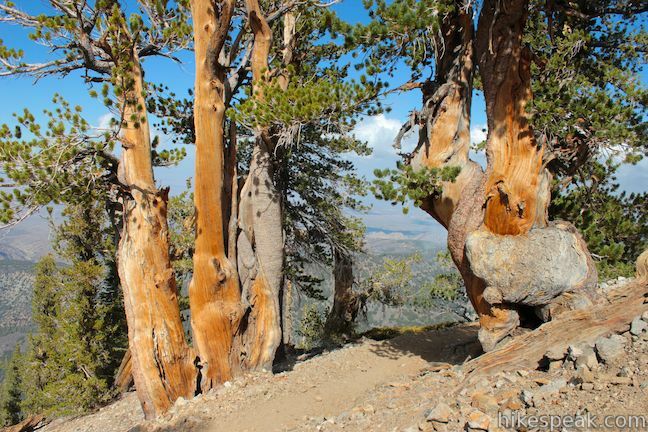 The trail is well maintained, more varied and there’s a much better chance for solitude. 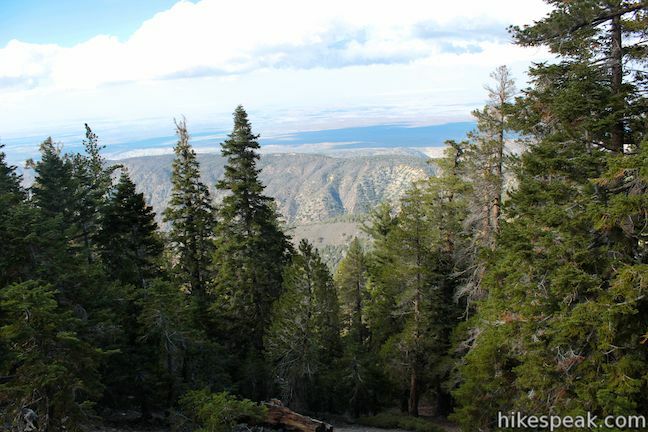 It’s about a mile longer RT, and roughly 700 feet less elevation gain, but offers some killer views on the way up. 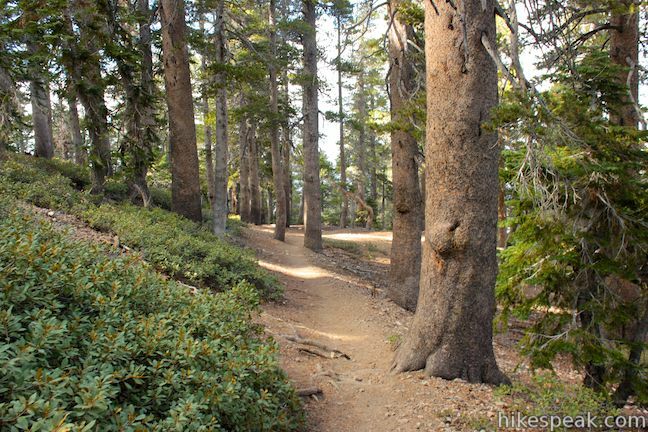 And if anyone really wants a workout (or solitude) after you reach the summit; just keep walking on the use trail. You lose significant elevation the farther you go but it’s an awesome way to grab two summits in the same day…even if it’s the same one. 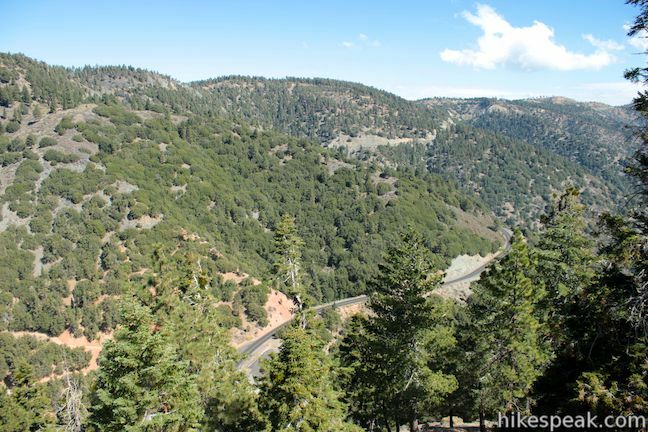 As of mid October Highway 2 was closed between Islip Saddle and Vincent Gap. I was told it would not reopen until spring. 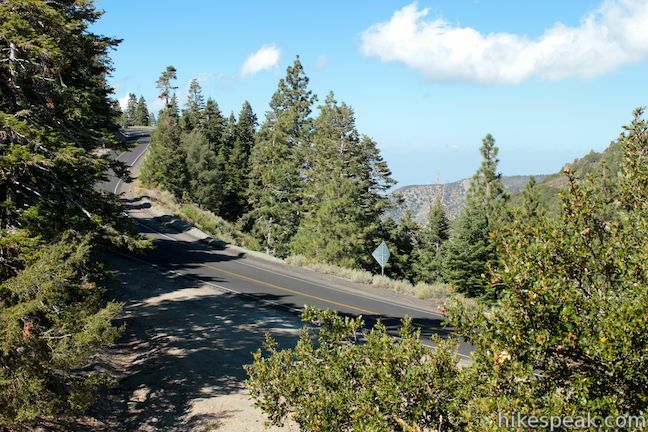 So, you probably have to plan on going through the town of Wrightwood to get there. Do we need to wear clampons at this time? 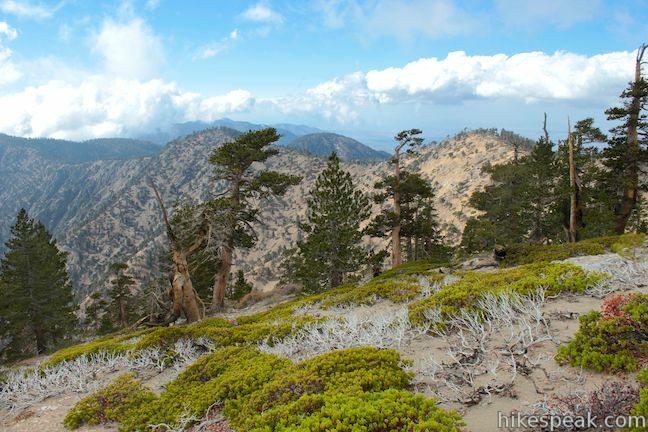 Ive hiked Mount Baden Powell multiple times from the vincent gap and the Dawson saddle area. Vincent gap is about 8 miles rt with 2,800 gain. 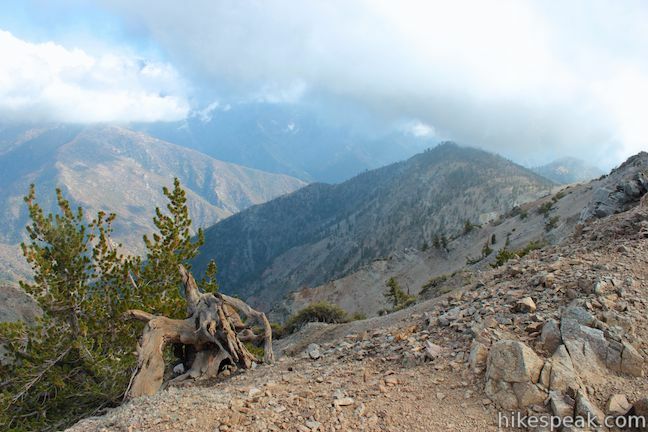 Dawson saddle side is 9 miles rt with 1,800 gain. I prefer the dawson side as your literally walking in a mountain ridge the 80% of the way, vegetaion is also extremely diverse here as well. 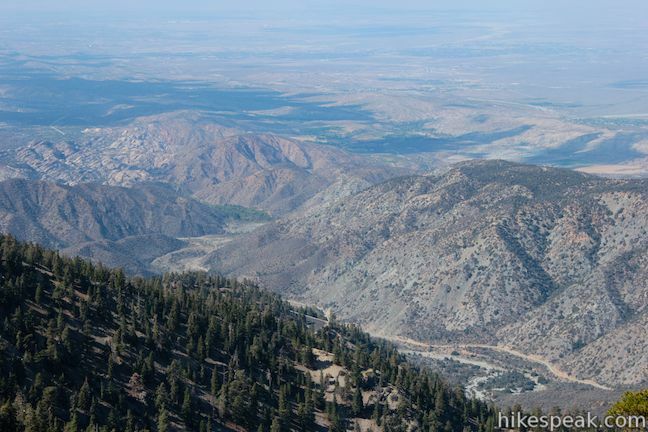 For the more adventurous and fit, from the Summit of Baden you can head down south to Ross Peak, 2 miles from baden and about a 2,000 foot drop which you have get gain back. 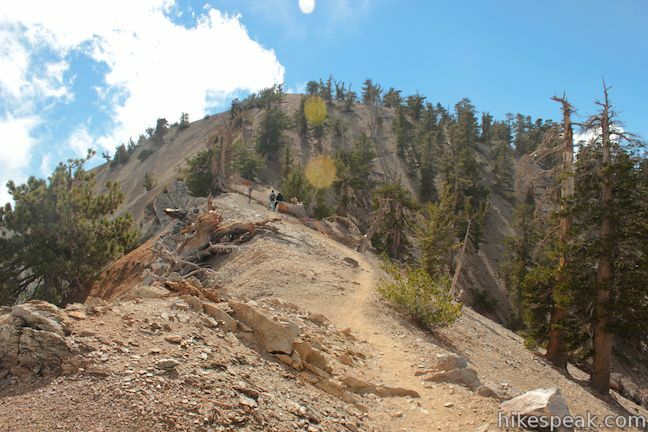 One of my favorite hikes. Lots of shade. Sometimes cold and windy at the top, lots of areas to eat lunch. 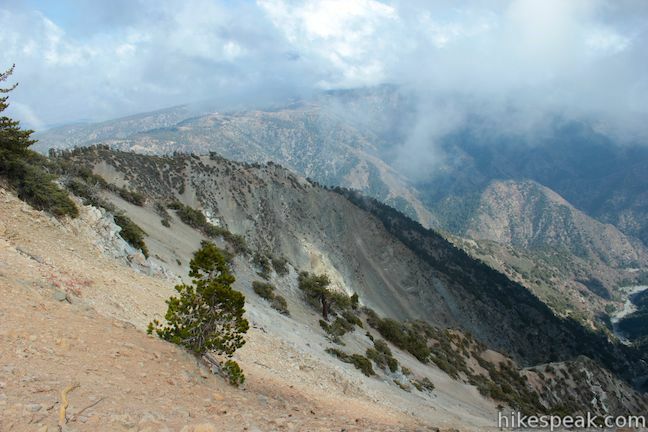 Switchbacks are inclined as you reach the top. Mid way the switchbacks have flat areas to catch your breathe. To the top at an average pace with one or two stops will take you two hours, back down about 1.5 hours if you are at a 19 pace. The views are amazing. Where do I find which trail is open to more brain bikes?